A debut on Live and Loud! For Tears For Fears. I’ve been looking on and off for a few years for a good early recording with more than a few tracks on it and finally found this recording - a BBC recording made for broadcast in America. And then I found 2 versions - 1 totally drenched in tape hiss but lots of sound to play with, and the other a lower bit rate mp3 which had very little tape hiss but also very little top end so it sounded very dull and thin. So I went to work on the noisy one - and while I COULD have removed every last bit of hiss, doing that in my opinion ruins the recording as it also removes a lot of the signal - crowd noise especially sounds weird, like its underwater! So I removed most of the noise but not all, so the recording still breathed a bit. So while this gig IS a little more noisy than most on the archive, it still sounds really good. I then spent a quite a while with EQ, separating out the stereo image and the space between the instruments to make them all stand out a bit better; that done I did some final mastering to add a bit of punch. 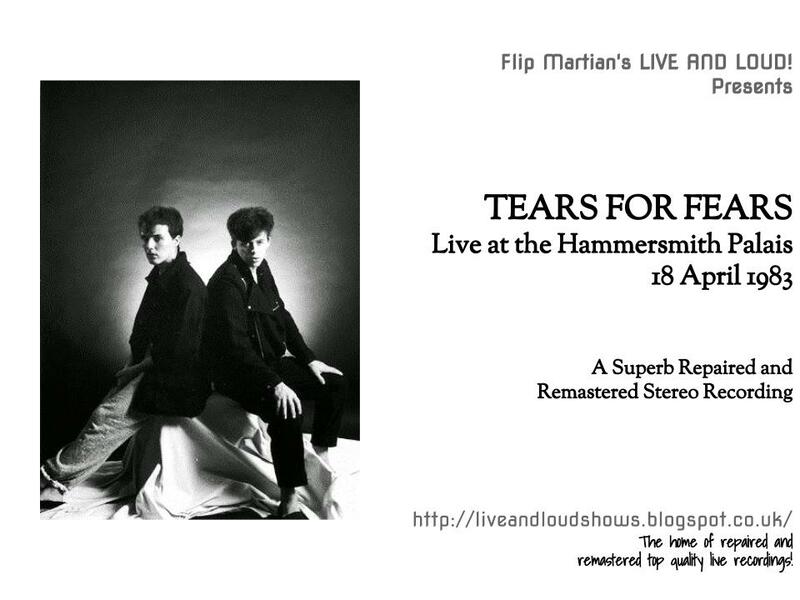 This is another recording where the sound man took a song or 2 to get the levels right but despite that I hope you agree that this gig is the best stereo representation of early Tears For Fears playing live.